Good morning everyone!! It's been another great week here in Kearns and we had a blast! We taught quite a few people this week and we are working hard to find a few more new investigators to teach, so that's been good. We also had zone interviews with President Palmer, our mission president, and it went really well! We just talked about how Elder Eason and I have been doing. He gave me some great counsel as always! President Palmer is the best and I am lucky to have him! We met with Angela this week as well after our interviews and talked about how she's been doing. She recently went to the hospital and is now on oxygen and so that is helping her not to smoke which is a positive benefit! It's awesome, and Elder Eason had the opportunity to give her a blessing which was epic! I love seeing the Lord work and to bring people back to the fold! A few days ago I felt prompted to talk to this kid on the street, so we talked with him and his mom came outside after a bit and we start talking with her. It turns out that this family is less active with two kids of age to be baptized and they wanted to come to church, but didn't know where to go for sacrament. So we gave them the info and set up a return appointment with them so we can get the two kids baptized! It's crazy how the Lord works through the spirit! It's very humbling to witness that! We also had a Fireside in one of our wards and we were gonna be the main speakers in it and only four people showed up! But we made a circle and started talking about being excited for the gospel and preaching the gospel. We had our elders quorum president give his conversion story and talked about his family. It was so powerful!! It made me so grateful for what I have! So we talked about how we can get the rest of the Ward excited about preaching the gospel! So we challenged everyone there to pray for opportunity to serve and to share the gospel and then to give their experience in fast and testimony meeting! So that's what we are gonna do! It was awesome and a epic spiritual experience even though we only had a few people. .
Hard to believe this is already the last week of the transfer! Next Preparation Day I will know where I'll be for the next six weeks! I hope y'all are having great experiences as well! I love y'all! This week has been very pivotal for me! We had a baptism this Saturday for a mother named Gloria. I never really had to plan out a baptism service before since Elder Dunham knew how to do it previously. Since Eason and I are new to it, it was a little stressful. I prayed to know how to and to make sure it would be good. Then last Tuesday, at Zone Conference, they talked about baptism and how to set up the service and it was sooo helpful! I was so happy they talked about it!! I texted our Ward Mission Leader then and there and met up with him the following morning and set up the whole thing! I was so blessed! 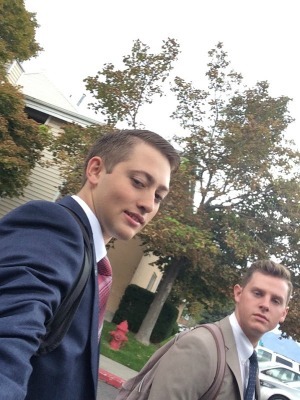 He's a great Ward Mission Leader and he helps me feel a lot more comfortable in doing it. Last Saturday the baptism went great! President Palmer, our mission president, came to it which was awesome! The spirit was so strong, and the baptism was beautiful! I gave a talk on the Holy Ghost and I had watery eyes the whole time! So it was awesome to be part of it and to see how much she has changed to be at this point. It's humbling for me. I was able to confirm her yesterday at sacrament meeting which was very cool as well! It was my first time confirming someone into the Church and it was awesome! The spirit is so strong and it was a huge testimony builder for me! 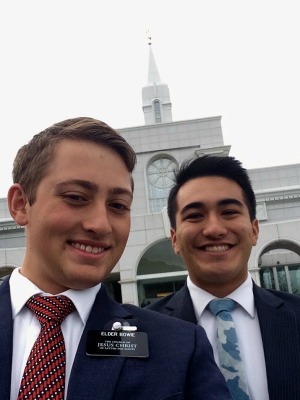 Eason and I have been working hard and we recently found a guy from the Marshall Islands and he is LDS and has a ten year old daughter who wants to get baptized. So that was awesome and it was great that we were able to met him and to help him get back to church. We also came across another family of a similar situation, except they aren't Islanders, and hopefully we will have two more baptism by the end of this transfer in November if all goes well. The Lord is blessing us and it's awesome, I love being in this area! This week has been another great week out here in Kearns! We are having a lot I'd good success out here and I am enjoying the work! We have been knocking like crazy this week and as a result we have been able to find potentially a few more new people to teach! I hope all is well back home! How has everyone been doing? I love hearing from y'all! This week is going to be my 4 month mark and it crazy how fast it's flying by! The weather is getting into the forties and the mountains are white with snow!! It’s crazy to think that summer is already over! I have to wear warm jackets now or I'll freeze to death! The trees out here are loosing their leaves and it is suppose to snow soon! But besides the cooling weather the work has been going well! We had a decent amount of people come to us and we will now help them out. We helped someone moved into some apartments yesterday and that was fun carrying multiple beds up three flights of stairs! But it was good and we are going to try to work with the family this week so it's awesome! Elder Eason is awesome and he's been helping me learn a lot as well. We have been learning and growing together and it's been awesome. We have been knocking a ton this week on people doors and we were able to find three whole new people to teach! So that has been a miracle this week! I love Kearns and their are a lot of humble and prepared people that we just have to dig for a little. But it's been awesome! Our stakes are awesome and we have been receiving a lot of support from the leadership and it's been ballin to say the least. But other than the work life's sweet and I love every moment of it. We ate with two Samoan families this week which was a huge blessing because it's like having an all you can eat with good homemade food. They gave us all the left overs so now we are set for like a month lol. Also when we were coming home to put the food in our fridge their is this Hispanic family that lives near us and we gave them some of our food since they aren't in the best of circumstances to say the least. So it was awesome to see how happy they were when we gave them some Samoan food. One of the kids said, "This is SO good! I'm gonna eat it all in one bite!" So it was awesome to do some service this week! But ya, I love my mission and it's a huge testimony builder every single day! I wouldn’t trade it for the world! I love my companion and we preach the gospel. So I hope all of y'all have an awesome week! Love y'all! This week has been simply amazing! 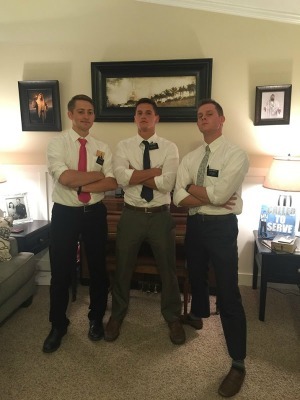 Elder Dunham went back home in Georgia last Tuesday and it was, to say the least, very emotional for him and everyone. 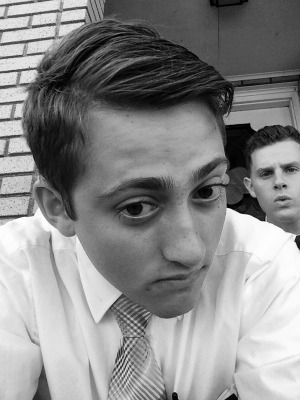 He was an awesome missionary, and I'm going to miss his example. He was the best trainer ever! I am officially done with the training program, 12 weeks, and I get to do it again with my new companion! 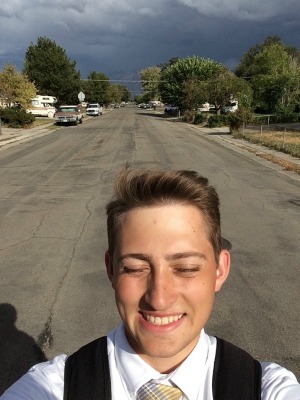 His name is Elder Eason and he is from Southern California near San Diego. He is a tall dude and he is a pretty awesome guy! I'm blessed to be able to serve with him! This was our first week together and we did awesome! We had a lot of lessons cancel on us more than usual but what can you do?? We taught 3 new people this week! Doug, Kelsey, and Sarah! So ya we had another good week this week! We got a lot referrals this week so we spent most of our time knocking on doors and out of the many, many doors we knocked we ended up getting two return appointments so that was amazing!! Both of them were less active families that wanted to come back more to church, so it'll be great to work with them and to get them reactivated again! Being the Senior Companion is kinda weird, I am going to admit but it's fun. Because now I am the one who knows all the streets and names and what not so I have to teach Elder Eason all the stuff that Dunham taught me! So it is an interesting experience for me, and makes me have a lot of appreciation for Elder Dunham for everything that he taught me! So the best part of my week (besides the work) was General Conference!! It was so cool to watch it as a missionary! It was awesome to hear their message and it made more sense than ever before! It was cool to catch scripture references and to know where that was and what it talked about! I just loved it! The Spirit is always strong when I watch General Conference and it was sooo cool to be able to understand it more and now to apply it in my life! I love having the chance to hear from our modern day prophet, Thomas S. Monson, he is truly a man of God! I am grateful for everything that the church gives us! Joseph Smith is a prophet and I love how reading the Book of Mormon brings eternal joy into our souls! It teaches of Jesus Christ and He is my Savior! 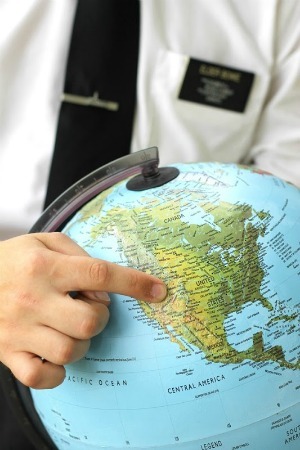 It's awesome to be an missionary and to see people read the Book of Mormon and then realize: Why are we here? Where are we going? and Where did I come from? Our very purpose of life can be found in the pages of the Book of Mormon and it is a true book. "A man can get closer to God by abiding by it's precepts than any other book." I love this calling as a missionary, and I would not trade it for anything this world has to offer! Seeing people change is the most rewarding experience ever! Just this week we had an investigator watch conference for the first time and they said they felt of God's love. We had a less active family who's mother watched it for the first time in her whole life and recognize that President Monson is the prophet on the earth today! It is amazing to be part of it and to help people change. I love it! Kearns is a very humble place and I am grateful that I started out here to see how low people can go before they come back up. I love this gospel. I want to invite everyone who reads this to read the Book of Mormon. Because that is how I got to know all of this. My purpose, being a missionary, everything. Joseph Smith was chosen to be a prophet of God. 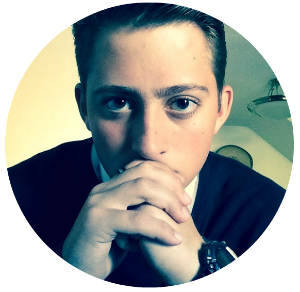 We have a prophet today who directs the church his name is, Thomas S. Monson, and he too is called and chosen of God. You are a child of God and He knows you by name. I love General Conference for the opportunity to be reminded of that wonderful truth and to feel of God's love more in my mind and heart. Sorry that I am kinda rambling on, but I just want to make sure that everyone who reads this knows that I love this Gospel. I am so blessed to be out here in Utah and I love every passing second. Of course I miss home and my friends but I wouldn't pass this up for the world!! I appreciate all the love that you guys send me when y'all email me or send letters! It is great to hear from y'all! I’ll do better to stay in touch with all of y'all this week! So ya, keep up the emails and letters and remember that I love you!! You can listen to the talks from General Conference right HERE.